On behalf of our 20,000 member companies the New Jersey Business & Industry Association (NJBIA) respectfully opposes S-2376, sponsored by Senator Weinberg, which revises the priority schedule for issuance of converted tax credits under the Business Employment Incentive Program (BEIP). We urge you to vote “no” when the bill comes before the committee for a vote on June 23, 2016. In order to remove the uncertainty of whether or not BEIP grants would be funded every year, bipartisan legislation was signed by the Governor in January 2016, converting those grants to tax credits. A statutory payment schedule of those credits was included in that legislation to ensure companies would be made whole in a fair, timely, and predictable manner. S-2376 dramatically alters that payment schedule and breaks the promise made to hundreds of companies that, in good faith, moved jobs and investment to New Jersey. While we recognize the state’s current fiscal constraints, and recent efforts of both the Legislature and Administration to improve New Jersey’s business climate, we are opposed to delaying the implementation schedule of BEIP tax credits as proposed. BEIP has remained underfunded since 2008, and no payments were included in recent years. As a result, many companies have not received the grant they earned by creating jobs and investment. Under BEIP, the state committed to providing grants to companies that invested in New Jersey by creating new jobs. 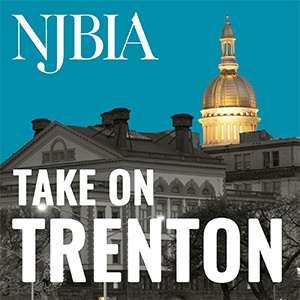 As of June 2016, the New Jersey Economic Development Authority (NJEDA) approved 461 BEIP grants that spurred creation of over 120,000 jobs and leveraged more than $12 billion in total capital investment. New Jersey’s incentive programs are essential to attracting and retaining businesses so that the state’s economy can benefit from job creation and capital investment. As companies consider New Jersey as a state to expand in or relocate to, it is important that the state meet its obligation and ensure that companies that meet their job creation requirements receive the incentives they earn. Once again, NJBIA respectfully opposes S-2376, and we urge you to vote “no” when the bill comes before the committee for a vote on June 23, 2016. Should you have any questions or need any further information, please contact me at (609) 858-9512.